Body = Height / 50 meters, Weight / 40 thousand tons. Weapons = Newly enhanced powerful finger missiles are amazing. Feature = More than No. 1, it has been further upgraded, but the movement is getting worse. There is an artificial brain in the head. It was made from the remainder of No. 1. Battle history = Along with Titanosaurus, it fought against Godzilla. 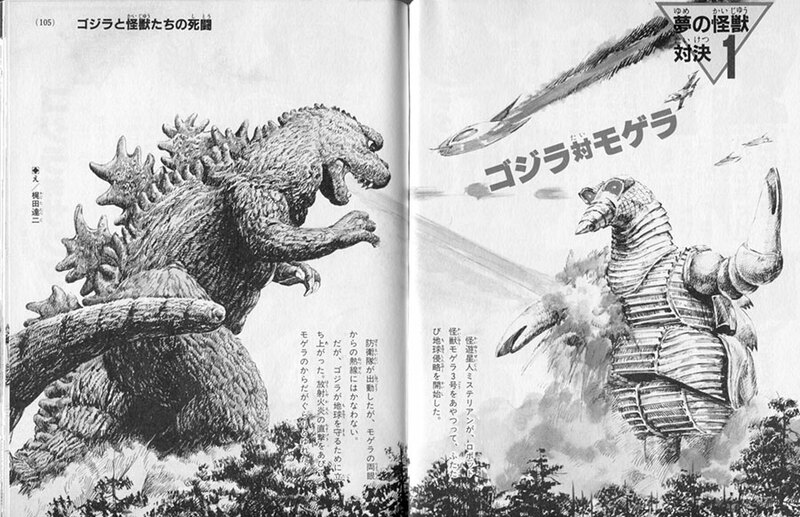 It was defeated by Godzilla despite shooting missiles. Aliens from the third planet in the black hole of the universe. They look like monkeys, but they changed in human beings and invaded. Science was advanced and entrance they mad fun of the courage and wisdom of the earthlings. After the loss of the first team, they made careful plans. However, their strategy was made impatiently, and they will be defeated in one step. Dr. Mafu discovered and named it! Body = Height / 60 meters, Weight / 30 thousand tons. Weapons = Uses its tail like a fan, causing a tornado. In addition, it strikes with its sharp edges. Features = Aquatic reptile that can swim in the water at 200 km/h. 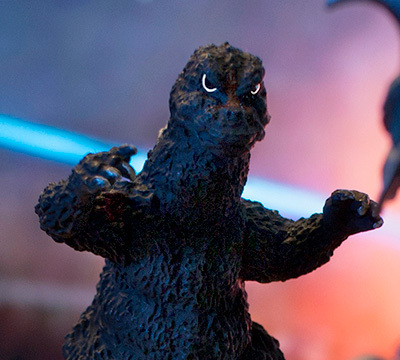 Battle history = fought with Mechagodzilla II against Godzilla, but it was run away by [Godzilla’s] radiation flame. Katsura, the only daughter of Dr. Mashi died in the accident under the experiment, but was revived as a cyborg by the people from the third planet of the black. A control device of TItanosaurus was incorporated. 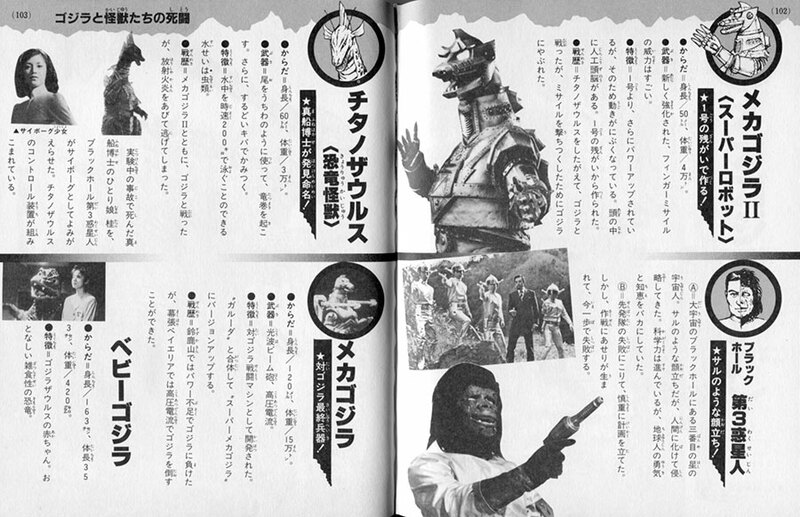 ★対ゴジラ最終兵器！ The final weapon against Godzilla! Body = Height / 120 meters, Weight / 150 thousand tons. Weapon = light wave beam cannon, high voltage current. 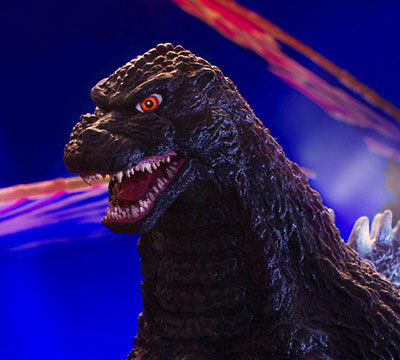 Battle history = In Suzuka mountain, it lost to Godzilla due to power shortage, but in Makuhari Bay Area it was able to defeat Godzilla with high voltage current. Body = Height / 163 cm, Body length 353 cm, Weight / 420 kg. Features = Baby of Godzillasaurus. Quiet omnivorous dinosaur. The Mysterian aliens controlled the robot monster Mogera no.# 3 and again began invading the Earth. Although the defense team acted, it cannot match the heat rays from both eyes of Mogera. But Godzilla stood up to protect the earth. The direct fire of the radiation flame covered and shook Mogera’s body. Godzilla landed on a small island in the south for a relaxing nap. However, the unknown Sanda and Gailla lived on that island. Aside from that, Sanda and the Gaia rush attack Godzilla. 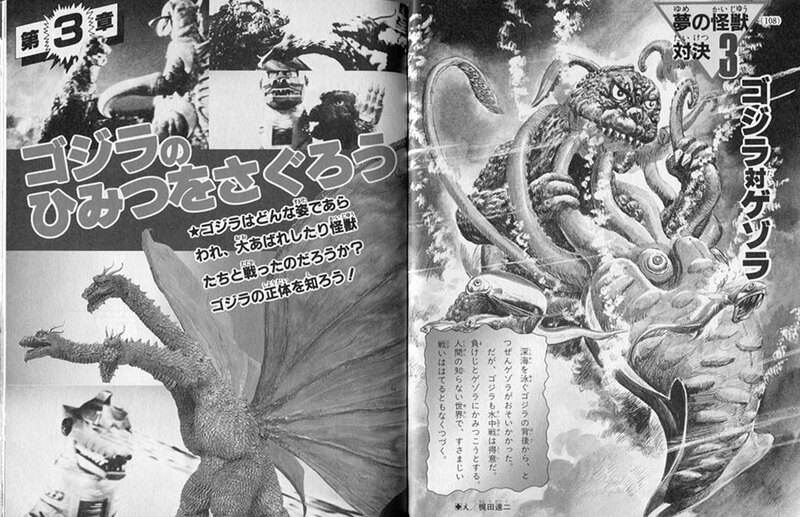 Compared to Godzilla, both Sanda and Gaia are about the size of a child. But the brothers smart like humans attacked together and Godzilla was overwhelmed. Gejira suddenly came from behind Godzilla swimming in the deep sea. 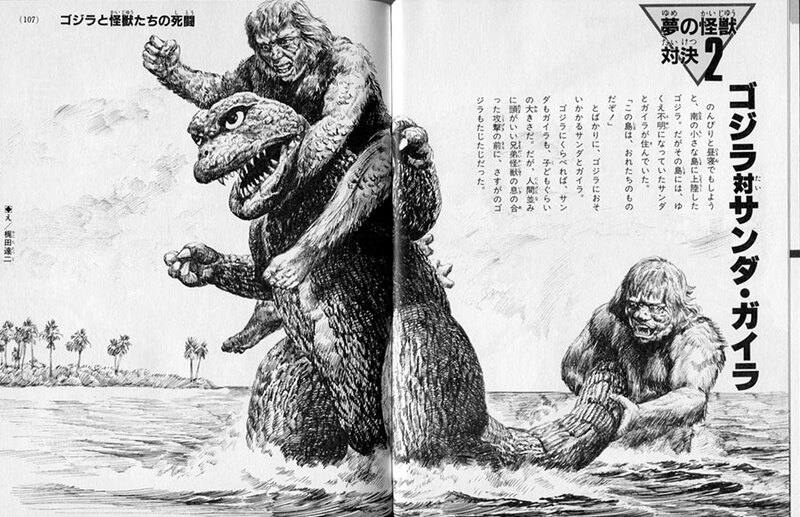 But Godzilla is good at underwater battles. In a losing effort, it tried to bit. In a world unknown to humans, there is a fierce fight with an unknown end. 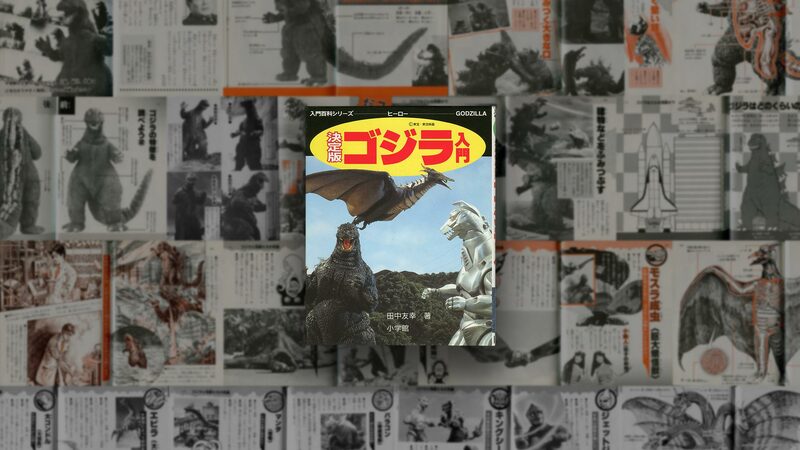 What form did Godzilla appear, and against what violent monsters did he fight? Let’s know the identity of Godzilla! 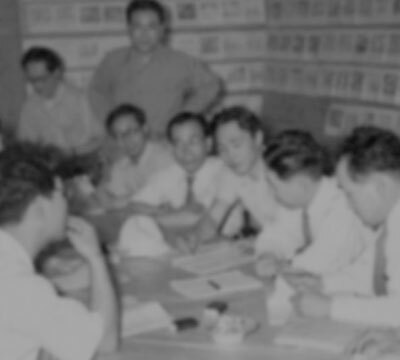 Where Godzilla was born, it is thought to be far deep in the Pacific Ocean. 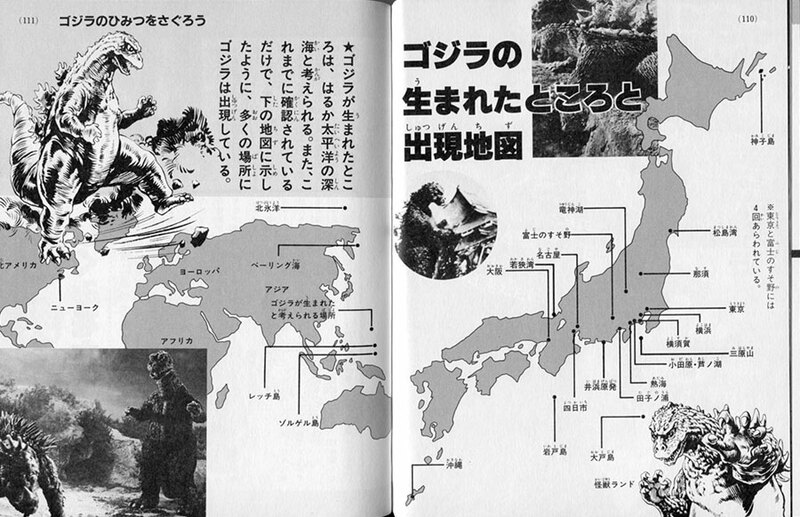 Also, as confirmed so far, Godzilla has appeared in many places as shown in the map below.